The Plum Paper Planner is the most customizable planner in my ultimate planner comparison and I’ll show you how to bullet journal in a planner so you can achieve the planner peace you seek. I’m always in search of the perfect planning system. I think I’m pretty close to planner peace with bullet journaling in my Plum Paper Planner so I thought I would share my how to bullet journal in a planner ideas with you. I hope it helps! I discovered bullet journaling last summer and it has changed the way I organize the chaos of my scatterbrained mind. The theory of bullet journaling started by Ryder Carroll is simple…jot down your ideas quickly and index your pages so you can always find what you need when you need it. It does not need to be fancy or have a predefined layout, you just go with the flow and what works best for you. Bullet journaling is the ultimate DIY planner, as Ryder says on his blog “all you need is a notebook and a pen” and the rest is up to you. I grabbed a two subject notebook with pockets* and my Staedler colored ballpoint pens* and tried bullet journaling in it’s purest form last summer. I drew my own key, index, monthly and weekly overview, habit tracker, gratitude log, collections of master to do lists, future planning log and numbered all the pages in my notebook. However, I realized I was spending a lot of time hand writing items I wanted to track. Honestly, if you’ve seen the damage Rheumatoid Arthritis (RA) has done to my hands, it hurt to write so much. I went back to incorporating the bullet journal elements I loved into my Erin Condren Life Planner* (ECLP) for 2015 that I’d already bought. The ECLP was great for paper quality and prettiness but it did not have enough notes pages to corral my ideas and to do lists for my home, family, health and blog. When deciding on a planner for 2016, I’d heard that the Plum Paper was customizable and found that it would be PERFECT for my regular planning and bullet journaling to meet all my needs. Plus, the Plum Paper colors are gorgeous and the paper is a dream to write on! Be sure to read all the way to the end, there’s a special coupon code to order a Plum Paper Planner just for Mom’s Small Victories readers! My total planner cost was $50 with shipping in 2016. There are two monthly note pages, one at the beginning of the month and one at the end. I use the beginning notes page to write down my goals for the month for home and kids. If I didn’t have a separate blog planning section, I’d write down my blog goals here too. I also keep track of expenses as I spend them. I’m an avid menu planner but I make what my family wants to eat versus what is on sale these days. I’m hoping tracking expenses where I can see them will help me stay within our budget. The notes page at the end of the month is for notes as I think of them and my 52 Weeks to an Organized Home decluttering mission calendars. After the first monthly note page is the monthly overview calendar. I found I was not using the monthly calendar to look at appointments so I started using it for a gratitude log. It gives me just enough space to jot down something I’m thankful for or a special memory, those small victories I want to remember. I’m not much of an artist but I do a little doodling too. It helps me remember the small victories in my day before I go to bed. I like to color code my tasks and time by category so that I can see how I spend my time during the week. Weekly Checklist: I write my goals for the week. My home and family goals from the Monthly Notes page, my cleaning from the Cleaning Checklist using Flylady zones and my blogging goals from the blog planning section. Notes: The color codes and categories they represent. Blue is for home, green for food/cooking/dishes, red is for family, pink is for self care and purple for my blog. Daily Columns: Tasks that must be done that day. Once those and my morning habits (in checklist pages) are done, I start working on one of my weekly checklist goals. I try to complete tasks before moving on to the next item. I color in the box with the corresponding category color to show it’s completed or half colored in to show it’s in process. I like seeing the day mostly colored in, it helps me see what I’ve achieved rather than all those blank boxes of unfinished to-do’s. An arrow is drawn through any blank boxes at the end of the week if the task is migrated to the next week’s goals. The Key to what my icons mean are in the notes pages at the end of the planner. I track what I’m doing, cooking, eating, drinking, reading and blogging. I should start each morning by jotting down how I feel. With RA, mornings are usually when I have the most pain and stiffness and the doctor always asks me how long that pain lasts. I’ve been tracking my pain levels with a number from 1 to 10 and the weather because I think weather is a factor for my pain. You can see this noted by the pink “W” in my daily columns. Lately, I’ve been feeling so good, I’ll forget to write it down until later n the day. Any changes in my pain, mood or weather will be noted with a “W” or a pink dot too. I’m a functional planner, I do not use too many stickers typically so it gives me more space to write. I do like these little round stickers* and they fit pretty well in the PPP spaces. I don’t like some of the preprinted ones though because things like Pet, Dance and Baby/Bridal Showers are adorable but I won’t use them. I’ll get some plain white labels* to color and draw an icon myself using this tip for creating my own color coded stickers from Jennifer McGuire Ink. That way they can match the color categories I’ve already picked and I have a little room to write appointment times. Spaces Between the Daily Columns: I draw in a chronodex, hourly increments from 6 am to 11 pm where I track how I spend my time in 15 minute increments. The combination of color coding my tasks and my time shows how effectively I manage my time for the weekly goals I had and what I actually accomplished. I have a lot of trouble with consistency. Getting into a sustainable routine to make sure I accomplished what I needed to everyday was difficult. I kept forgetting to take my meds, track my pain levels or floss. I came across habit trackers people used for bullet journaling and knew it would be a great way to get me on track. In the PPP checklist add-on, there are 4 checklist pages in each month. For January, I have checklist pages for daily habits, monthly Flylady zone cleaning, and quarterly/annual cleaning. A line for each day with the day and date of the month are written in the first column. Habits to complete are written in the column headings and color coded by the same categories of how I track my tasks and time. Since self care are the habits I forget most often, those are the ones I wrote down first. My focus may change each month and having a tracker has helped me be consistent with my habits, even flossing which I dread. I will copy this tracker each month, adding and deleting habits as needed. I adapted my monthly cleaning tracker from Flylady’s zone cleaning lists. While she dedicates a week to each zone, I know it will take me longer than a week to both declutter and then detail clean the zone. So I turned her cleaning list into a checklist without a dedicated timeline to check off tasks as I complete them. For tasks I do more than once a month like vacuuming, mopping, dusting and changing tablecloths, I just make a smaller checkmark in the box so I can fit 2 or 4 checks in it. I also added my car to the zone cleaning because it needs a good scrubbing pretty often. I will copy this tracker each month. The quarterly and annual cleaning checklist is to track when these tasks are done. This tracker won’t need to be copied each month. The blog planner add-on has lots of useful pages which I’ll let you read about on Plum Paper’s site. I enter most of my data into my free blog planner and then copy ideas down at the periodically into my PPP. I like have everything in my PPP but the blog planning section is not as comprehensive as the planner I created so I still have to use both. I added 30 notes pages for my bullet journal key, index and collections. In bullet journaling, the key shows the icons used throughout the planner. Each of the 319 pages in my planner are numbered and indexed so that I can find what I need easily. After the key and index are blank pages for “collections”, which can be anything you want to write down. Your collections are given a topic name and written in the index with the page number so you can find the information when needed. In a traditional bullet journal, you write on the next available page, so you may have your collections interspersed with your daily or weekly to do lists. In a bullet journal, the page numbers in your index are in sequential order and the topics are varied. Since I’m using a planner where the calendars, blog and notes section are already laid out, I index my pages as I use them. The page numbers in my index are not in sequential order but are grouped more or less by month. The color coded box in my index helps me identify in which category the pages belong. Want to see how Plum Paper compares to the most popular planners on the market? 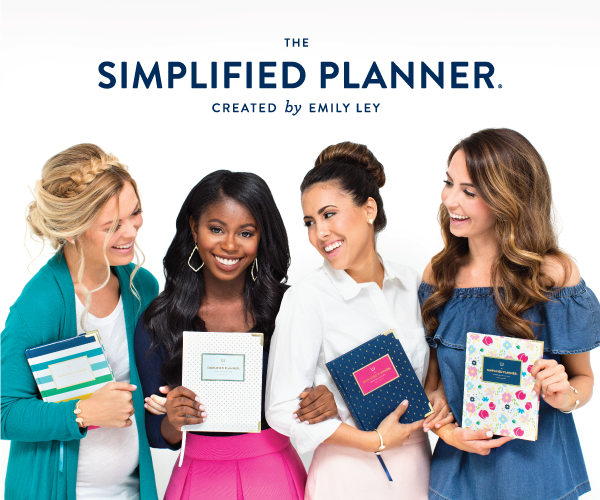 Subscribe to my newsletter and get your FREE Ultimate Planner Comparison Chart! Stop wasting money on a planner you won’t use or that isn’t perfect for your needs right now. 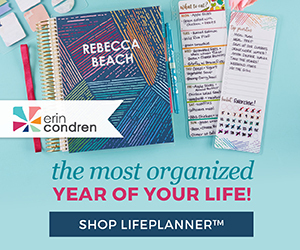 When you subscribe to my newsletter, you’ll get planning and productivity tips emailed to you to not only pick the best planner for you but to help you crush your goals whatever they may be. 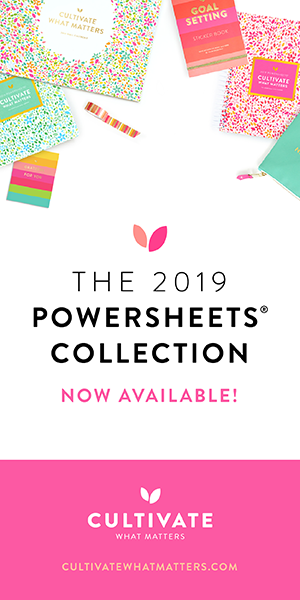 My FREE Ultimate Planner Comparison shows you the details of the 11 best daily, weekly and goal planners on the market, and what type of person they are best for. More Productivity Resources and My Thrive with Chronic Illness Planner Now on Sale! Today, I’m excited to tell you about something that might help in your quest for gaining more time and managing it well. A bundle of resources created by people (I’m one of them!) who understand that you’re looking for practical productivity solutions that will work in your lifestyle. It’s called Ultimate Productivity Bundle* and it was created and curated by people with real life responsibilities just like you: they have families, work part- to full-time jobs or run businesses, don’t have personal assistants or the budget for hiring lots of extra help. They want to help you (and themselves) conquer your to-do list, free up more time for yourself, and reach your goals. I’m excited to announce that my newest product, the Thrive With Chronic Illness Planner + Journal is included in the Ultimate Productivity Bundle* on sale for a limited time! This planner is a labor of love and brings one of my life goals to reality. Check out the entire Ultimate Productivity Bundle* At only $37 for over $1,500 worth of resources, It’s an incredible deal for everything you get and the bonuses for early birds! Well there you have it, my organizing and planning ideas. I take the fabulous ideas from the Junkies group and off Pinterest and simplify them for my needs. I wish I could do more artistic bullet journaling but my planning is simple and functional. What kind of planner are you? Are you a functional or an artistic planner? What bullet journal or planning tips do you have to share with us? I’m all ears and always looking for ideas to simplify my life and not forget anything! This is so smart! I love paper planners (I have a happy planner right now) and while I tried bullet journaling a while ago, like you I found I was spending too much time getting the pages together. I need to try this method! This is an interesting way to keep track of things. I think it’s quite a bit of work to get started, but I can see where it would be beneficial to do it. it looks like a fun way to do things. I stumbled upon your blood after researching planners. I have brain fog beyond belief and need to start planning and I do so much better in a paper planner, and bullet journal style intrigued me! But finding your blog is so much more…I was just diagnosed with RA last year just a month after having my baby. Reading your story brought back all the feelings I felt as a brand new mom, unable to snap a onesie or unbuckle th scar seat. I am now spendigg my morning catching up on your blog and health issues! Thank you for blogging about this and making people like me, feel so much less alone! Oh, you’ve made my day Danielle with your kind words! I always hope that my posts are helpful to my readers. It can be very isolating being diagnosed with a condition that not many people know about unless it’s impacted them or a family member personally. No one in my family had it before me so when I first was diagnosed, I didn’t know just the full extent of what the diagnosis meant. I try really hard to stay positive and share my story truthfully but with the hope I still have that I will thrive despite this disease. and if you are on Instagram, check out my IG profile where I share planner pictures (I use a day designer and bullet journals now), RA stories, my family and food! I love seeing these bullet journal/planner combos. I use bullet journaling in and alongside my Passion Planner. Thanks for sharing your resources! I’m a little late on reading this but I’m switching to paper planners to enhance my electronic one. I love bullet journaling. I actually jumped over from a post you posted about time management on the wonderful Wednesday blog hop and I’m glad I did! I just got a Passion Planner and it has really great layouts and blank pages to incorporate bullet journal elements. I was looking at the Passion Planner last night, they have a beautiful blush one for breast cancer awareness. Glad you found a planner that helps you. Loved the article! I just tried using a bullet journal again after last year trying it for awhile and liked it, however I found myself essentially recreating my PPP and it lasted two days until I decided to go back of my planner. Lol. I love being able to use add ons and additional notes pages for my collections! Great post. I like how you’re using the monthly calendar spread – i might have to ‘borrow’ that idea!. Very cool! I was trying and liking a bullet journal this year, but fell out of it becuase it’s a LOT of work for maintain – I love this hack! Thanks Morgan! It was too much for me to write out too. I found a happy hybrid system for me. I am a functional planner for sure! I am intrigued by bullet journals but know that I will probably always want to have a 3 ring planner. I’ve gotten some incredible inspiration for creating inserts from bullet journalers though! This is such an amazing way to stay organized! Thank you Tanya for sharing this awesome article with us at Inspire Me Monday at Create With Joy. I’m so happy to share that you are one of our Featured Guests at this week’s Party (#213)! Oh wow, thank you for the feature. I love joining in your Inspire Me Monday linkup, always such great posts to visit. I’ve been hearing more about bullet journals lately, especially on Instagram, so it’s nice to finally learn how they work! Thanks for sharing! You’re welcome Heather. Bullet journaling has definitely helped me. The concept is simple but it also unleashes productivity and creativity! This is super detailed! Thank you for sharing. I’ve heard of bullet journaling but had never seen it laid it. Great visuals. I totally love the way you organize everything, I am taking notes here! This makes the planner in me very, very happy! I thought there was no person as organized as me but I think you beat me! I’ve been curious about Bullet Journaling. I’ve heard good things, and I love that you’ve combined two of my addictions – journals and planners – into one idea! What a beautiful planner. You are so organized. I also prefer bullet journaling. I love your organizational style, I like to make lists too! Loved hearing more about the bullet journal. Recently started doing something similar but with recipes. Since I blog about recipes I have a lot of ideas running through my brain and they just randomly happen, while watching tv, using fb, going to the grocery store…ect. I started something like this a few days ago by using dividers for the different meals throughout the day I’m thinking about. So far, it’s amazing! I’m with you Mar, bullet journaling didn’t have enough structure for me. I kept drawing it myself and turning it into a planner. Bullet journaling definitely helps me with corraling ideas and tracking habits. Thanks for stopping by. Your so organised. I love that the planner can fit it all in. Thanks for sharing. Wow, you are so organized! I need to try bullet journaling. That would really make my life more interesting, I think! This is a good organization system. I use a composition notebook to schedule and make notes. I like learning about other planning methods. You are a total inspiration! I have only heard of bullet journals and I’m in awe of how organized yours is. Wow! You look super dooper busy and even more organized. It sounds like you have found a system that works perfectly for you. You are so fantastically organized! I am trying so hard to stay on top of everything, but man there is always so much to do! Amen! It’s a never-ending battle to accomplish everything on my zillions of lists but at least I can easily see what I’ve done and what’s still left to do. Thanks for stopping by! Ok, I really need to get organized. I’m so envious! I feel so much better when I get things out of my head and onto paper. At least it helps give me some direction. Thanks for stopping by TaMara! I love seeing inside other people’s planners because I spend so much time organizing mine! Stickers and colors are my priorities with mine, they make it so much more aesthetically pleasing!! I love Peeking inside planners too Molly. There are so many great ideas people have that I can adapt to help me achieve my goals. I love stickers and colors too, it makes planning fun. Whatever makes you stick with it and feel inspired is great in my book. I’m a scrapbooker at heart, I just don’t make time for it. The Lily Pulitzer planners are lovely! You know I used to have more gratitude in my weekly Small Victories Sunday Linkup posts. It comes and goes but I do love having a place to record gratitude and small victories, it really does help my mindset. These pages will go into our family photo albums at the end of the year. !I’m really intrigued by the idea, but it seems like there are so many moving parts I’d never be able to figure out how to keep it organized. I’m glad it’s working for you! Lol. It took me awhile to nail down a system that worked for me because there is so much I want/need to keep track of. Most of it is a necessity to keep my sanity 🙂 Thanks for stopping by Nichole. Wow that is quite pricey so it wouldn’t be for me but I like that it teaches you to remember gratitude. That is so important in our society. Yes it adds up quick especially because of all the parts I added to it so I could have everything I need in one book. I tell myself it’s an investment and definitely helps me keep all my roles/goals straight. I agree it’s so important to focus on gratitude and kindness these days. Thanks for stopping by Ana. OMG, I LOVE how organized you are. I need to start doing what you are! Thank you Robin, I always feel like a work in progress on my quest for organization. This system is definitely helping me! This looks great, and I’m glad it’s working for you. I’ve been doing a daily to-do list that has me feeling great as well. This is a wonderful tutorial, Tanya! After looking at the Plum Paper planner and add-ons, I can appreciate even more your tremendous examples of how to use them effectively. I have used a notebook for planning my second blog, but I have really only used a computer calendar for planning of blog posts. Since I am beginning to schedule more reviews this year and participate and organize events (like an upcoming readalong), I am really ready to try a new, more flexible planning style like this. Thank you, as always, for sharing your amazing organizational skills and tools.